WASHINGTON -- Former National Security Agency chief Gen. Michael Hayden hinted Sunday at how the NSA's eavesdropping and data collection program is likely to evolve over time. Critics of the project have warned that by building the capacity to track the electronic communications of all American citizens, the government will inevitably be tempted to employ every tool it has at its disposal and scuttle whatever constitutional safeguards stand in the way. Not to do so eventually would in fact be more surprising, goes the argument. In an appearance on CBS' "Face The Nation," Hayden -- also the former head of the CIA -- unintentionally opened a window into just how that evolution will likely unfold. 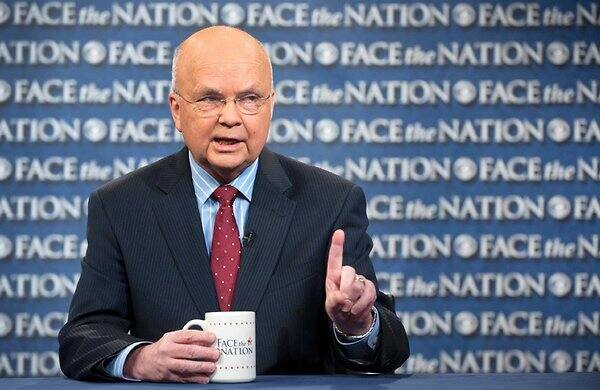 Asked by host Bob Schieffer about the president's proposal for a civil liberties advocate to argue on behalf of the Constitution in the secret court that oversees the NSA, Hayden said that such a setup would be inappropriate for fast-moving investigations. But he did float a hypothetical scenario in which such a safeguard might be appropriate: After an attack, he said, the NSA would want to use the vast store of information it has been collecting in more aggressive ways. Hayden said that in general he was opposed to a civil liberties advocate's involvement in the process, and warned that slowing it down would lead to criticism. "When you're looking in your rearview mirror after the next successful attack, this runs the danger of looking like bureaucratic layering," he said. "And, so, you need to be careful about how many processes you put in there even though I freely admit, you don't get to do this at all unless the American people feel comfortable about it." He continued, adding that an advocate might be appropriate after an attack, when the temptation to overreach is greatest. "This is no one's proposal," he cautioned, before unveiling his hypothetical. "You've got this metadata. It's now [currently] queried under very, very narrow circumstances. If the nation suffers an attack, there are other things you could do with that metadata. So in that kind of emergency perhaps you would go to the court and say, 'In addition to these very limited queries we're allowed to do, we actually want to launch some complex algorithms against it.'" "That's the kind of argument that frankly, even I could accept you might wanna have an advocate there," he said. In Hayden's hypothetical, the NSA would want to use an advanced algorithm to search through the information it had collected on American citizens. Such an algorithm could, for instance, read the email of every American, the type of search that is strictly prohibited by the Fourth Amendment. "The right of the people to be secure in their persons, houses, papers, and effects, against unreasonable searches and seizures, shall not be violated, and no Warrants shall issue, but upon probable cause, supported by Oath or affirmation, and particularly describing the place to be searched, and the persons or things to be seized," the amendment reads. Edward Snowden and the debate over privacy and national security dominated the Sunday shows in the wake of President Obama's Friday news conference in which he unveiled a series of proposed reforms. The president suggested increasing the transparency of the eavesdropping and data collection project, and creating an advocate for civil liberties who would contest government requests for information before the secret court. Sen. John McCain (R-Ariz.) told Fox News Sunday's Chris Wallace that he could get behind the president. "I don't disagree with any of those proposals of the president," he said. McCain, for his part, said he was concerned that younger people were losing trust in the government, and that many seemed to view Snowden as "some kind of Jason Bourne." Hayden was asked his opinion of Snowden. "I've actually thought about this," he said. "He didn't inform [the debate], he made it more emotional." He compared Snowden's revelations to Hurricane Katrina. The disaster, Hayden said, had led to the construction of much stronger levies, which is a good thing, but, "Katrina was still a bad thing." "He wasn't a whistleblower, he was a defector," Hayden determined. Asked specifically if he considered Snowden a traitor, he said, "Traitor is narrowly defined in the Constitution. I'll stick with defector." Hayden was also asked about members of Congress, who have criticized the NSA for being less than transparent, even in its classified briefings. "Let me apologize to members of Congress," he said, before adding that, "this is just incredibly complicated." "The agency's been tremendously candid," he promised, pointing to a previous classified letter that informed Congress that "we are gathering the metadata of all calls in the United States." After apologizing, he pinned the blame on members of Congress. "If you don't have time" to sufficiently study the intelligence community, he said, "then you shouldn't be a member of the [intelligence] committee." This story has been updated to include full quotes from Hayden's interview.